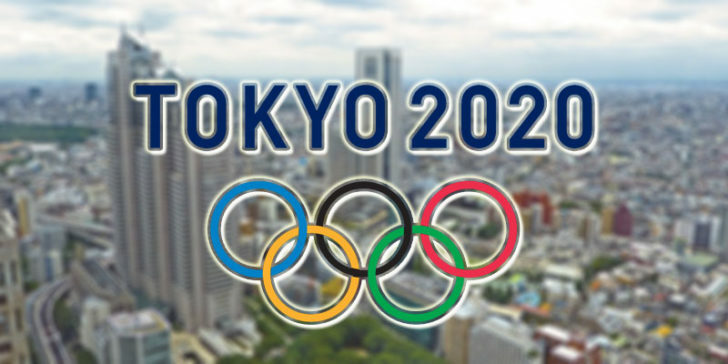 The Olympics in Tokyo is only one year from now. But bookmakers are already thinking about who will triumph in the end in an edition that will have new sports. Our predictions point to China as a good bet on the 2020 Olympic Games to win most gold medals. Since the beginning of the Olympic Games that there have been many changes in the programme. Some sports have been introduced, to be later discontinued. And others came back after a brief absence. This is the case of Baseball and Softball, that had their last appearances in Beijing 2008. As well as Golf in Rio 2016, that also saw the debut of Rugby Sevens in the Games. This way, Tokyo 2020 will also have new Olympic sports and new disciplines in existing sports. As mentioned above, the inclusions in next year’s Olympics might not last long. They will depend on their success among audiences and also on the interest of future host nations. As online sportsbook news sites in China report, these five sports will take part in Tokyo 2020 most likely because of their popularity in Japan. This might raise questions about the social and sporting goals of the IOC. The organization seems to be increasingly more worried about fulfilling financial and marketing needs. And more and more chances are that some sports will only make occasional appearances. On this account, the Olympics never had so many “action” sports entering the competition. This is definitely due to a need for keeping the Games alive. And, therefore, attracting youngsters who will also be its consumers in the next few years. Recently, the organization of Paris 2024 announced the shortlist of the sports that will feature in the City of Lights. And the big surprise was Breakdancing, which was a success in the Youth Olympic Games last year in Buenos Aires. Snowboarding is already part of the Winter Games for a while. It is interesting, then, how it took so long for skateboarding to reach the same. But Tokyo opened its doors and riders will compete in street and park courses in the Ariake Urban Sports Park. As BMX is also one of the new additions, it will share the park course with Skateboarding. The street competition will have ramps and rails where riders will be able to put together various tricks. And they will have three timed runs to try their best score. 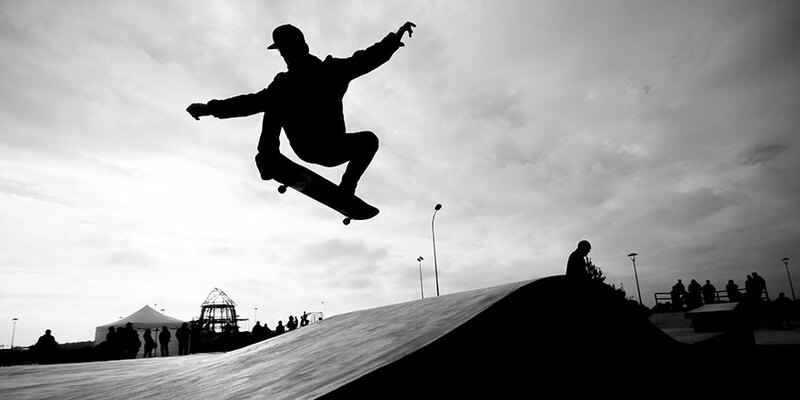 Many Skateboarders see the sport as a form of freedom and self-expression. This is why there have been some concerns about its entrance in the Olympics and there are even online petitions. The community also worries about the fact that the sport will become dependent on external organizations. Sport Climbing is probably the less known sport from the list. This is why it will probably be the one benefiting the most from the exposure the Olympics allow. Its inclusion will definitely bring new sponsorship and state funding possibilities not available before. As in the World Cup, there will be the usual three disciplines in the competition: speed climbing, bouldering, and lead climbing. The first will have two climbers racing each other to the top of a 15-meter high wall. Bouldering will test the athletes’ technical ability, as they have to finish a short course in a fixed amount of time. And lead climbing is as a combination of both, giving 6 minutes to athletes to climb as high as they can on a 15-meter wall. However, the decision of combining all three disciplines in one left the climbers feeling a bit bitter about the participation in the Olympics, as they are very different ways of doing the sport. Surfing is obviously part of the plan to attract the youth. Nevertheless, there are many quality waves near Tokyo and surfers will certainly enjoy surfing in the Shidashita Beach in Chiba – around 40 miles away from the capital. Because of the unpredictability of the surfing conditions, there will be 16 days of competition in order to allow surfers to ride the best waves. It will feature a four-heat structure of 20-25 minutes each and the best two surfers according to the judges will continue to the next round. The competition will be limited to shortboards only, but hopefully in the next few years might extend to other categories. Since the 1970s that Karate is trying to become an Olympic sport. In 2009 it didn’t receive the support needed. However, in 2016, the organization eventually announced it as one of the five new sports in Tokyo. But Karate’s entrance is clearly due to its popularity in Japan. The competition will feature the two disciplines of Karate: kata (forms) and kumite (sparring). The latter will be divided into 3 weight classes – for both men and women. In the first competition, a panel will judge the karatekas’ techniques This way, there will be 8 gold medals to dispute. However, the lack of representation of many karate styles in the Olympics is being subject to criticism. Adding to that, the Karate community around the world didn’t take well the exclusion of Karate from Paris 2024. According to online sportsbook sites in China, the USA will lead the top of the Olympic medal table again. Indeed, the country had almost twice as many gold medals as the second most decorated in Rio. However, and despite the fact that it will also benefit from the new sports, their team might lack some of their best athletes. Our betting predictions are favoring China to be the most successful team next year. In 2016, the Asian country was only one gold medal behind Great Britain. And, with the new additions, the country might surprise especially in rock climbing. The sport is one of the fastest-growing in China since the IOC announced it will be part of Tokyo 2020. We also can’t forget that the Chinese Government is committed to improving the country’s performance in the Games. And Rio was already a reflection of this., as in 2008, despite hosting the competition, China didn’t win a single gold medal. The country’s odds of winning most 1st places are 8.00 at Unibet Sportsbook. Great Britain will also be a team to consider, as it will face some changes. As the Kingdom is willing to be part of the medal race, they will pay attention to one of their sources of success. British women have proved they can bring important medals from the Games. In Rio, the women’s hockey team won the gold medal for the first time. Thus, the committee wants to have more women than men in the Olympics and try to win as many competitions. Their odds are 9.00. Finally, the host nation will be one of the biggest threats in the Games. Every four years, Japan is always one of the best teams. And next year, they will certainly benefit from the introduction of Karate, Skateboarding and, more importantly, Sport Climbing. Japan has some of the best climbers in the world, such as Tomoa Narasaki and Akiyo Noguchi. Besides, they will also have the rising star Naomi Osaka playing tennis for their team. Japan’s odds of winning the gold medal race are 12.00 at Unibet Sportsbook.